Kilmore Quay, in County Wexford, is a pocket of the Old World, in a place where you’d least expect to find it. Even with all our modernization, you still find odd little pockets of “old Ireland" in surprising places. One such gem I’ve been making weekend visits to for three years is Kilmore Quay (pronounced “key"), about an hour’s drive from Waterford in the southeast corner of the country. 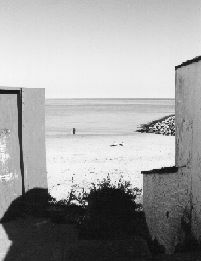 Tourist attractions are in short supply in Kilmore Quay. But if you slow your pace long enough to enjoy its beauty and pure atmosphere, it makes for memorable side-trip. This little fishing village of about 850 people has a small, yellow-sanded beach, colorful fishing boats and a deep blue harbor that creates an image more Mediterranean than Irish. This part of the country is known as the “sunny south-east," and Kilmore Quay is a rare spot I always associate with brilliant sunshine and blue skies. You can see the Saltee islands just off the coast as you drive the smooth country road into town. It doesn’t take long to notice that the area has an amazing concentration of thatched houses and businesses. 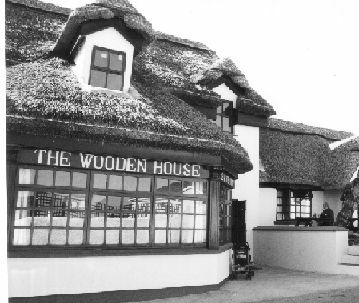 From the Wooden House Pub, with its impressively complex roof, to the many smaller, more traditional homes, each roof seems to have its own tale to tell with a unique style and shading. All over town there’s a contrast of older, greyish brown thatch, set off against bits of newer straw that glimmers gold in the noonday sun. Trailing clematis and roses add color to the whitewashed townhouses, and to the cottages that dot the expansive farmyards for miles outside of town. Many of the area’s buildings date back to the 18th and 19th centuries. All this thatching exists thanks to four local men who work and train in the trade. Matt Whelan, a local man who trained with the City and Guilds in England in the 1980s, has since returned to teach the trade to other local men, some of them former fishermen. They now travel nationwide to practice thatch roofs in the traditional style, but the attention they’ve paid to their hometown has given it a truly unique appearance. A new 55-berth marina has made the village one of few places where pleasure and commercial fishing exist side by side, and it makes for a varied and vibrant scene. Miscellaneous boats, ropes and fishing crates offer a mish-mash of colors and shapes that hint of total chaos. But it all runs successfully on a system known only to the fisherman. The low stone wall on the pier is a point for conversations with old and young alike, and for relishing ice cream in the summer sun. The area is particularly good for deep-sea and lobster fishing, and the seafood chowder in the town’s Hotel Saltees easily beats anything I’ve eaten on the west coast. The village hosts an annual seafood festival in July, promising a colorful blend of food tasting, music and entertainment (This year it’s on July 18th. For more information call 011 353 53 35333). Kehoe’s Pub, across from the village church, is a local favorite with an unusually powerful nautical theme. Proprietor James Kehoe has spent almost 30 years diving the more than 1,000 wrecks off the Wexford coast from Hook Head to Arklow, and the artifacts he’s retrieved are displayed throughout the pub. It’s a fine collection to take in while settling into a pint or two, and the small, comfortable beer garden at the rear is a perfect place to enjoy the village’s timeless feeling on a summer day. The nearby Saltee Islands are home to Ireland’s largest bird sanctuary. Great Saltee Island is particularly famous for its colonies of cormorants, and has more than 1,000 pairs of guillemots, along with gannets, puffins and gulls. Both islands are privately owned and have not been farmed or inhabited since the 1940s, but boat trips to them run from the quay (calm weather pending), as visitors are welcome. Given its proximity to Dublin, County Wexford is popular with homebuyers wishing to relocate down the country. In the next few years, the area around Kilmore Quay is likely to change, as plans have been approved for a second hotel and some 300 houses. I recommend you visit sooner rather than later, as this level of building seems outlandish for a village so small. For now, the atmosphere is still far-away. On a Saturday morning at 11am, you’ll be hard-pressed to find a coffee (sincerely!) and the purchase of sunglasses requires a trip to the pharmacy in the neighboring village of Kilmore. The nearest ATM is located some five miles away. On a whole, Kilmore Quay isn’t the place to get a split-shot soya milk latté (I’d put good money on it that you wouldn’t!) and it’s a bit out of the way as locations go. But for those who are getting a bit burnt-out on the standard tourist trail, it’s worth an overnight stay (or two). The locals are warm and inviting, the seafood is second to none and the place affords you a real break from the pace of modern living. A true Irish gem. Geraldine Keane is a writer living in Dublin.